On our return from Hong Kong we were sent to Barnard Castle and were the first family to occupy one of the new houses. 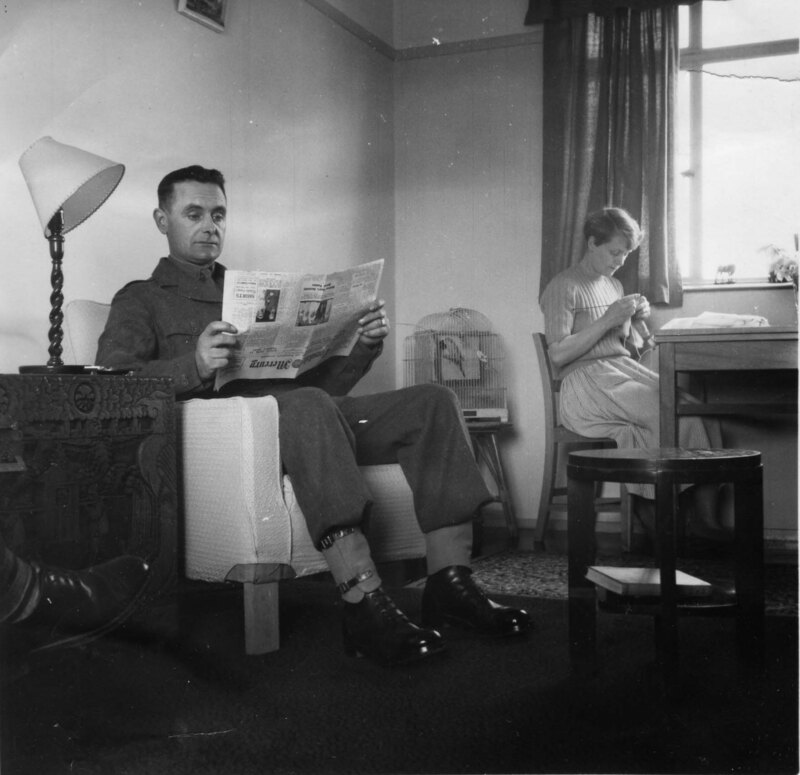 The local paper took photographs of my father and mother 'at home' in I think no. 72 which backed onto the A688. 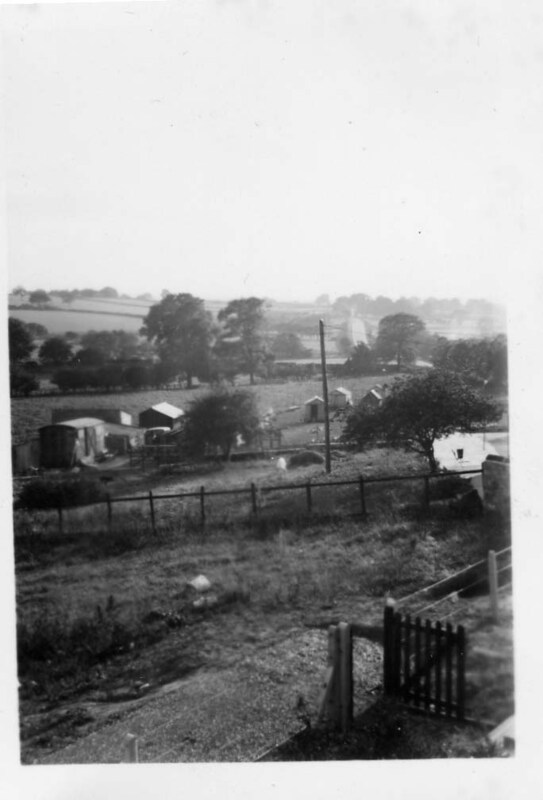 I attended the Stainton village school for a few months until the camp school was opened. Our playground when at school was the former parade ground but the whole camp was one great playground including a tank down beside the old railway track. The 58th Medium Regiment were at Barford camp and it was there that we watched the Coronation on TV in the Sergeant's Mess. It was at this time when a military vehicle went through the parapet of the river bridge in town killing the occupants. There was a small farm just to the west of us and I used to help with the pigs and hens, their names were Mr. and Mrs. Burnip I think. I was so pleased to find this site and to read about what is being done to keep alive the memories and to inform those who now occupy the site. 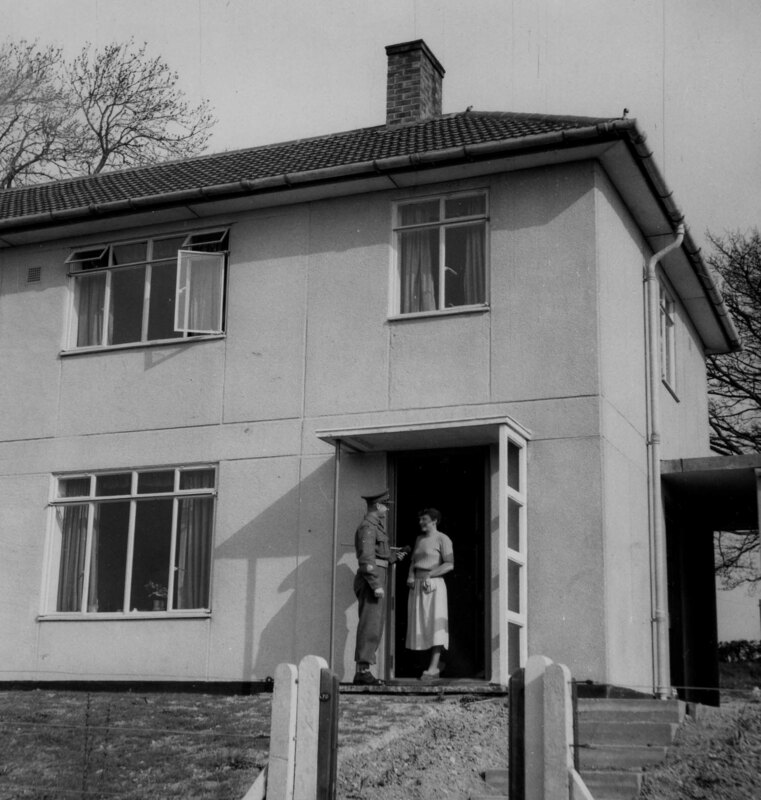 On our return from Hong Kong in the spring of 1952 the families of 58 Medium Regiment, Royal Artillery, were to occupy the new houses at Stainton Grove as they became available. We moved into the first house no. 70 that spring and gradually more and more joined us. 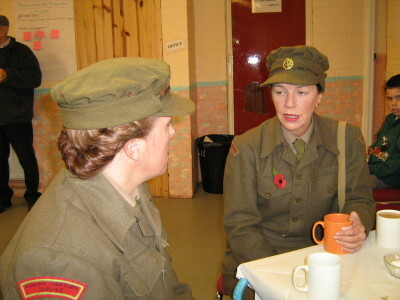 A photo unit from the War Office descended upon us and took publicity photographs. I attended the local village school at first, walking across the fields, past the farm and across the road to the school, this was done in all weathers with steaming clothes around the large central stove in the class room. Once a week, the “buckets” would be emptied from the outside WC's. I recall that the winter of 52/53 was quite a severe one. We had drifts up to the tops of the telegraph poles and army vehicles were used to bring us food and provisions. In September 1953 the camp school opened under the headmaster D H Swan. From memory there were three buildings, the end ones divided into two class rooms each and the central building was the assembly hall and offices. This was not an Army school, as some I had been to but from my school reports, was under the direct control of Durham County Education Committee. Although the NAAFI was our main source of provisions, the bus ride into Barnard Castle was a regular event. Our Doctor and Dentist were there and hardware purchases and electrical goods were bought locally. I can remember we bought a Bush push button radio somewhere opposite the church in the Galgate area. The whole area around the camp was one big playground. We would 'help' the local farmers in the summer with the hay and corn harvests climbing up on the ricks or riding the carts. Not all of the houses were completed when we arrived. Towards the east end at the bottom of Stainton Bank was still a building site for many months and provided much entertainment. On a more cautious note I recall a derelict boiler house to the rear of the gate house where the insulation jacket was ripped and the blue insulation material would blow around in the wind. I believe now this to have been asbestos. Very occasionally we would go to a camp cinema, I was never sure where this was situated but it was to the east of the Stainton Camp along the A688 towards Barford Camp where the 58th were based. I recall cartoon shows as well as cowboy films. Once every year, the regiment went on a two week training exercise and all the families were taken for a days outing to see them. The Otterburn Ranges in Northumberland was the setting and a great display of weaponry would be available to get your hands on.